Despite the undeniable growth, India manufactures are not currently considered to be compliant with the Good Manufacturing Practices (GMP) put forth by the World Health Organization (WHO). Currently, they only have to be compliant with the national drug regulators within India. That is all about to change as India has announced plans to begin enforcing the standards defined by the WHO. Currently, India has over 10,000 drug manufacturing companies, with only around 15% of them being in compliance of WHO-GMP. Officials with the Department of Pharmaceuticals believe that if more companies became compliant with the regulations, India’s global pharmaceutical trade could increase to five time of their current share. 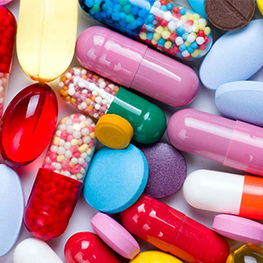 Currently, India is the third largest manufacturer of pharmaceutical products in the world in terms of volume and fourteenth in terms of value. These number will likely increase with the increased WHO-GMP compliance. In 2014-2015, countries around the world began banning the import of pharmaceuticals from India because of the lack of compliance. It is estimated that this caused the Indian market to lose around $1 billion US dollars. A large part of the compliance involves ensuring no cross-contamination occurs and ensuring the correct labeling and identification is implemented. Data loggers can be used for continuous environmental monitoring to ensure the product is being safely brought to markets around the world. The process of bringing the pharmaceutical companies up to international standards will likely be gradual, with the end goal being 100% compliance. “We want the entire pharma manufacturers to become WHO-GMP compliant. We are going to enhance our standards of the GMP. We have become an international supplier of medicines and want to keep pace with global expectations,” says Dr. G.N. Singh, Drugs Controller General of India. This entry was tagged Humidity, Pressure, Temperature. Bookmark the permalink.